Steven Marcus, president and CEO of Health Foundation of South Florida, just received a national award in recognition of his promoting health equity. Health equity, as Mr. Marcus defines it, is reaching people where they are and giving them what they need to thrive and be well, which he said includes the social, economic and environmental conditions across our population. 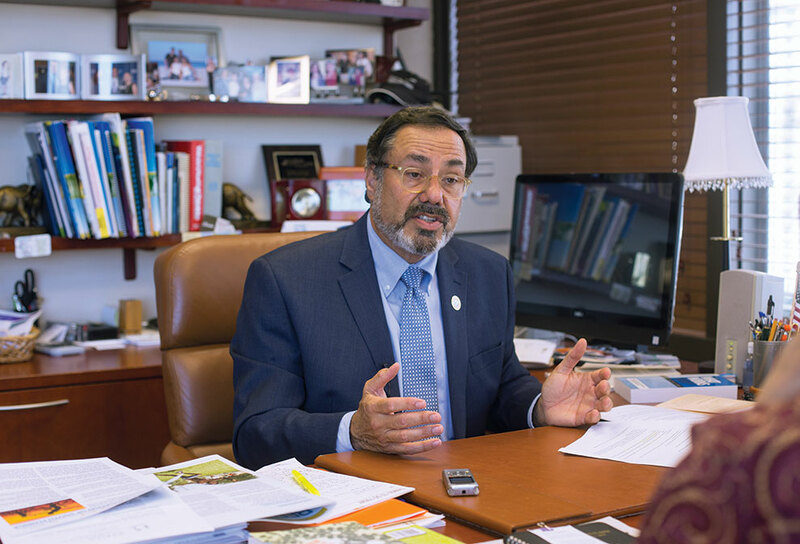 It’s hardly work for Mr. Marcus to guide initiatives toward promoting a culture for health equity in the county, particularly for vulnerable residents. Now entering his 17th year leading the nonprofit Health Foundation, Mr. Marcus said he’s committed to improving the community where he lives and is employed, serving in a way that makes a difference. Part of what keeps him in good health is a positive mental outlook, Mr. Marcus said, and that means doing what he loves. He describes himself as blessed to be CEO and president of Health Foundation and doesn’t take it for granted even one day. Miami Today reporter Susan Danseyar interviewed Mr. Marcus in his office at Health Foundation of South Florida.